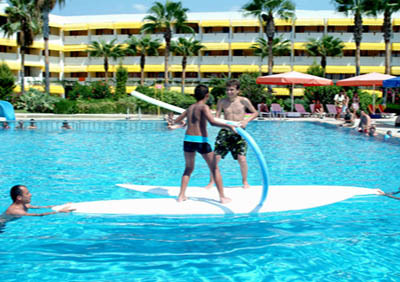 Situated in Avsallar, the centre of Avsallar is just 150 meters, Antalya airport is 100 km away. 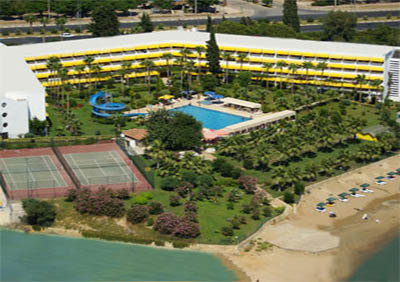 Tennis courts, table tenis, beach volleyball, darts, gymnastics, boccia, Turkish bath, fitness. 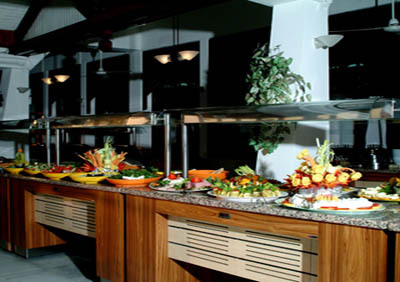 Lightning of the tenis courts, tenis rackets and balls, watersports, sauna, massage. 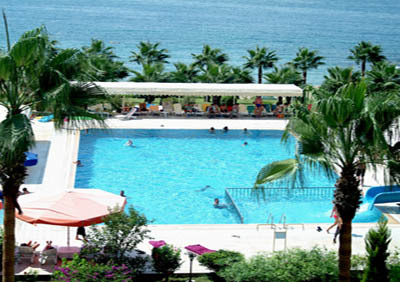 Balcony or terrace, telephone, central air-conditioning, sat TV, minibar, bathroom with hairdryer. Situated directly on the sandy beach. Sunbeds and umbrellas available free of charge, mattresses chargeable. Unlimited soft and alcoholic local drinks from 10.00 till 01.00. Late breakfast, in the afternoon gozleme and other snacks, tea time, midnight soup.